There has never been a more exciting time to be a percussionist with MMF. We have 6 dedicated groups, not to mention the 7 other bands and ensembles which also feature percussionists, and we’re about to launch a samba band. 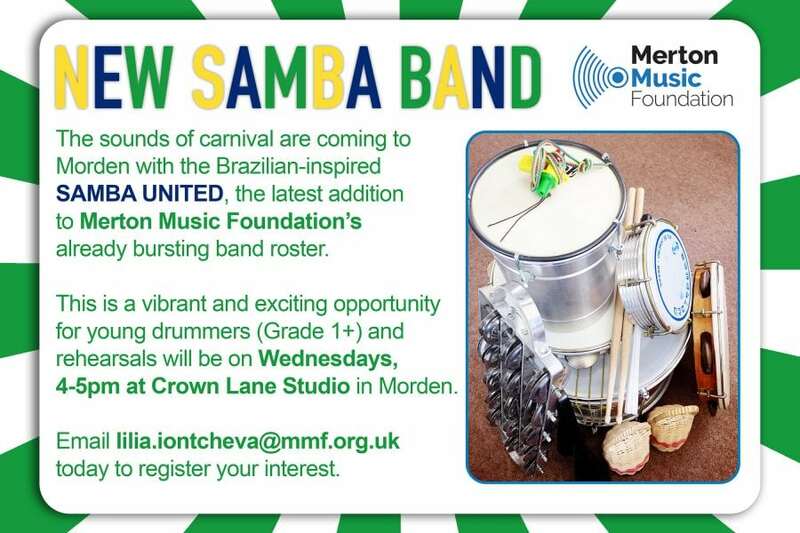 Samba United, our brand new Brazilian-inspired group, is looking for young drummers Grade 1+. Email lilia.iontcheva@mmf.org.uk today if you know someone who’s interested. Rehearsals will be on 4-5 pm on Wednesdays at Crown Lane Studio, Morden.